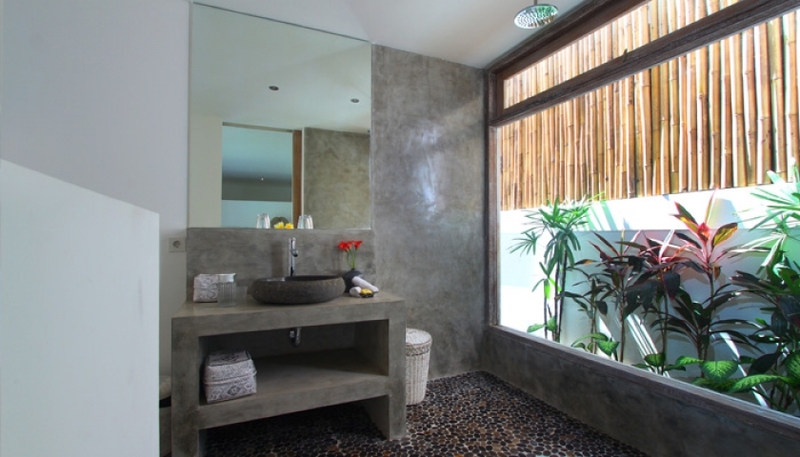 Constructed with the most superior materials that you can find in Bali such as polished concrete & ancient teak wood originally from antique Joglo (the traditional Javanese house), this villa features a spacious open air living area, with dining corner and modern bedrooms, all with the en suite bathrooms featured, tropical garden and private pool. 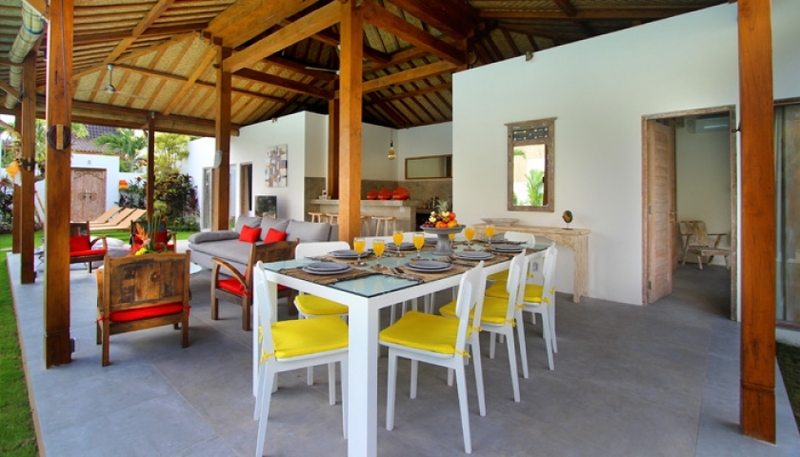 Rate leasehold € 325 000 (+/- 362 000 USD) exclude furniture and equipment. 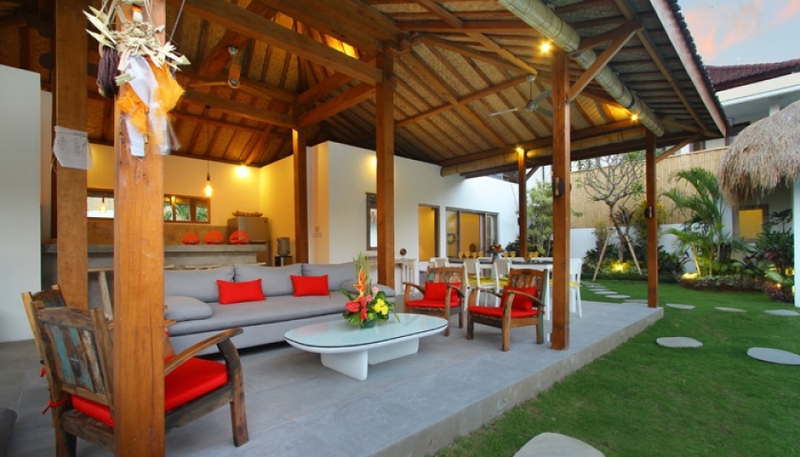 An additional € 10 000 (+/- 12 000 USD) is buyer required to have the villa all furnished and equipped. 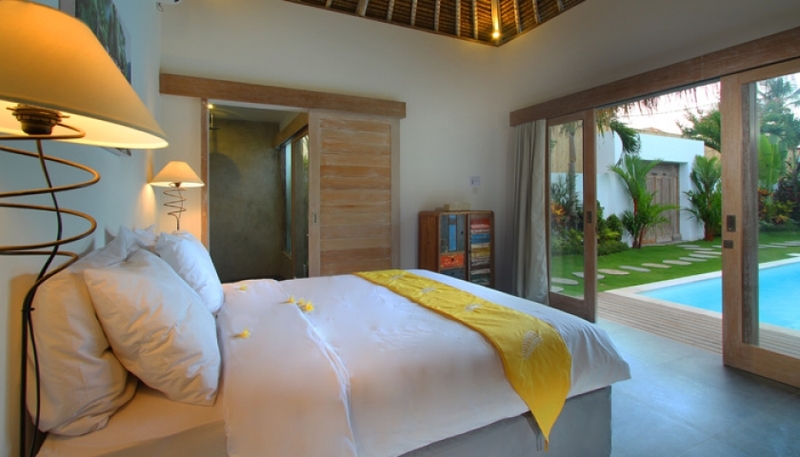 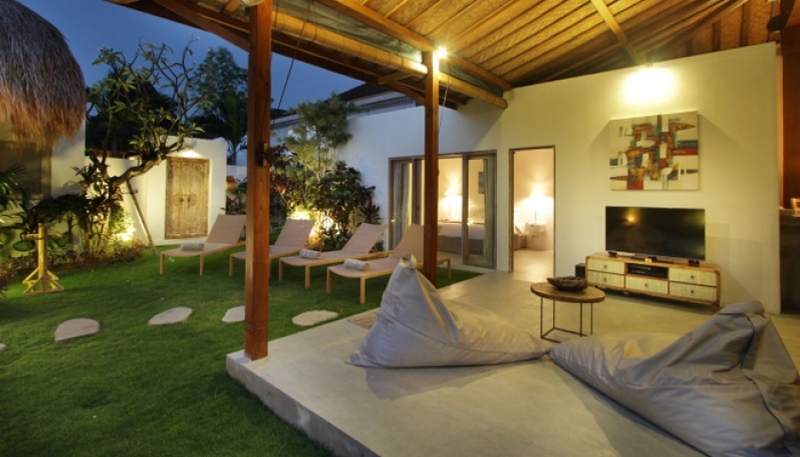 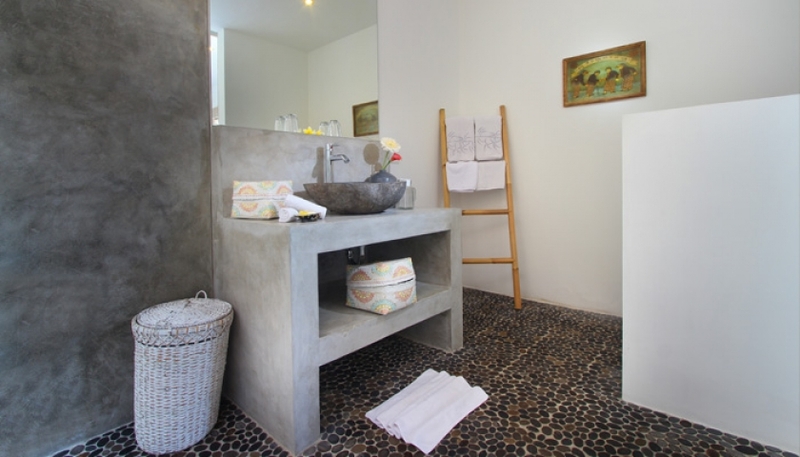 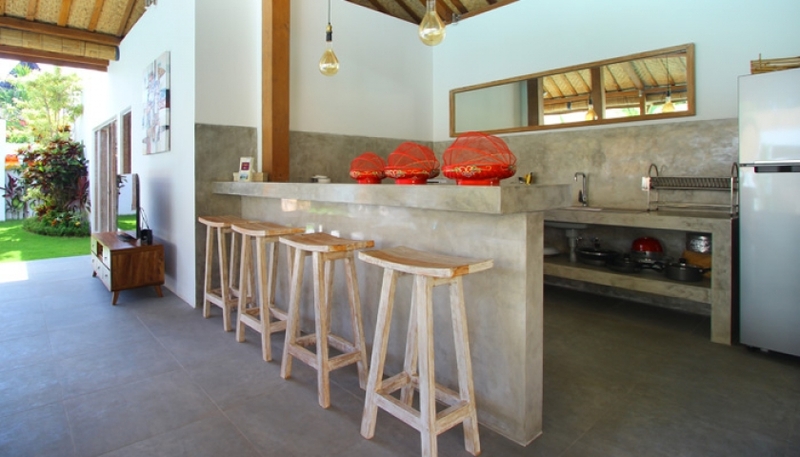 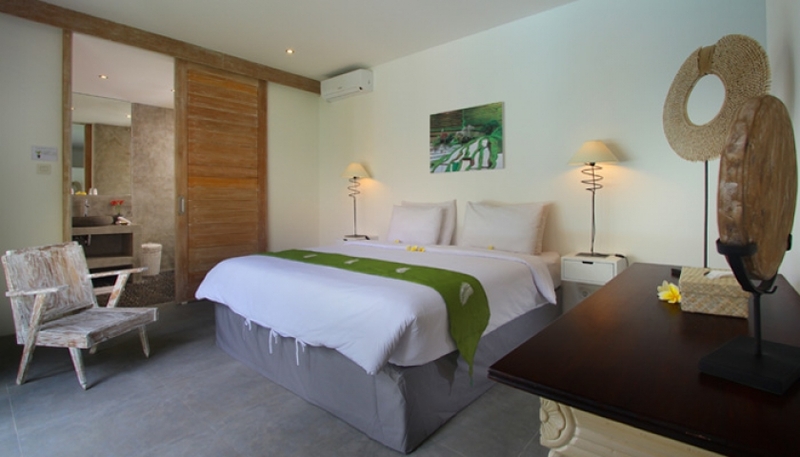 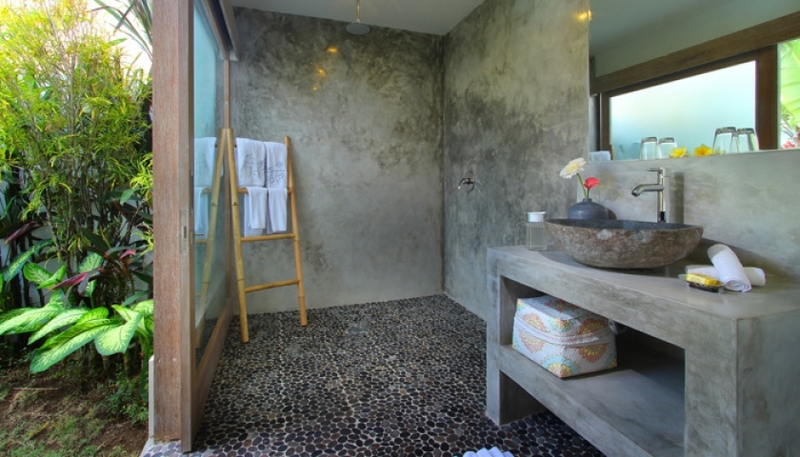 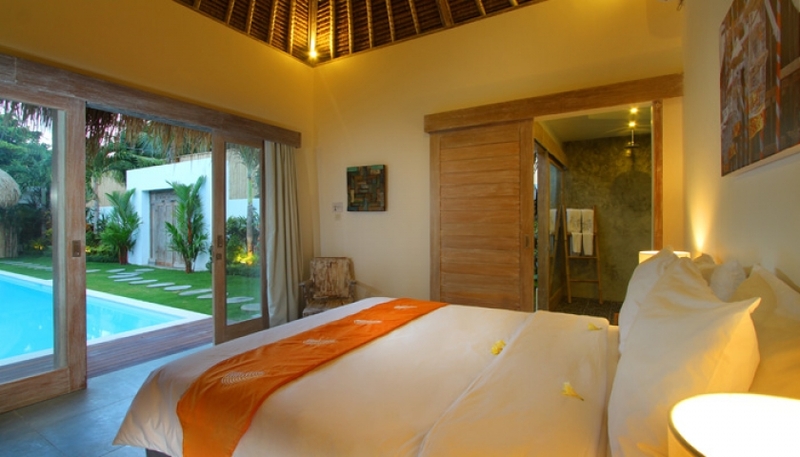 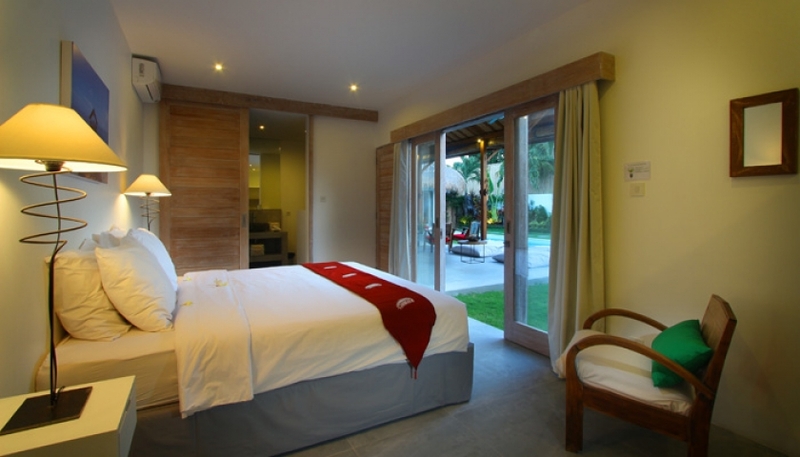 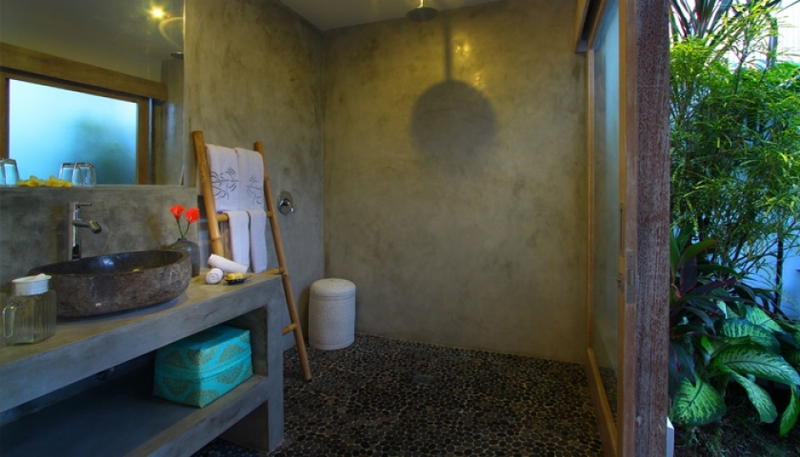 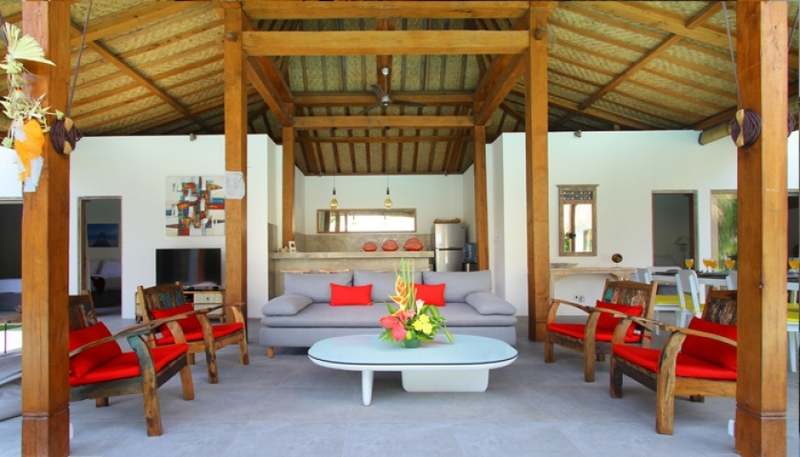 This beautiful villa is impeccably located in the heart of Seminyak, the famous seaside resort in Bali. 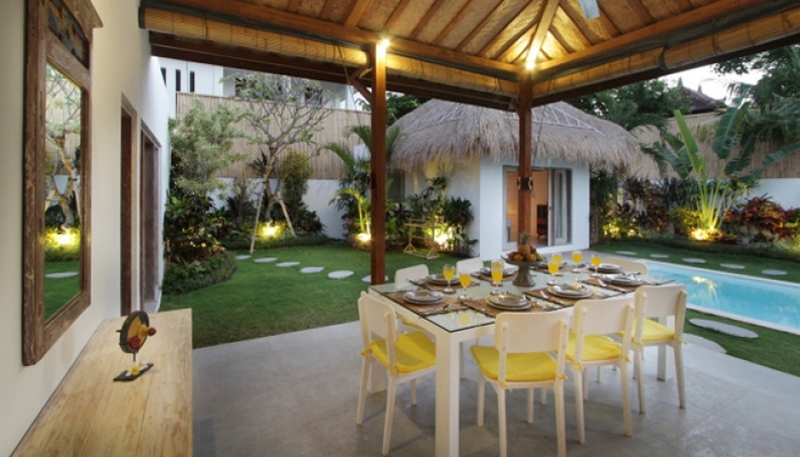 To the restaurant, shop and beach are accessible by walk. 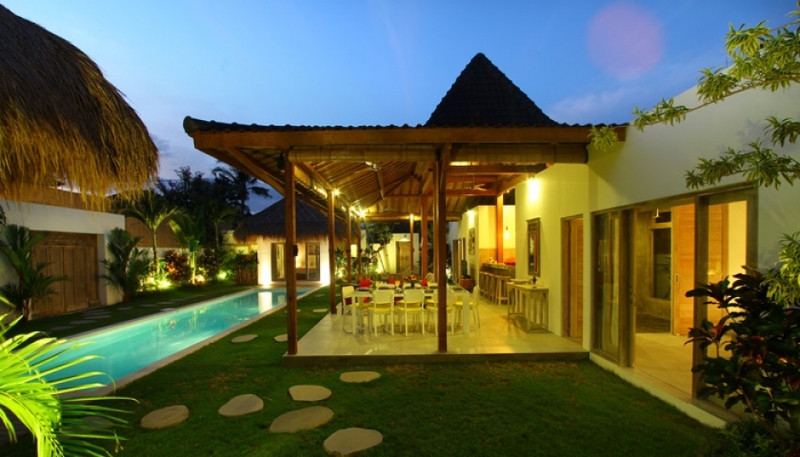 Possibility to extend the lease period immediately.